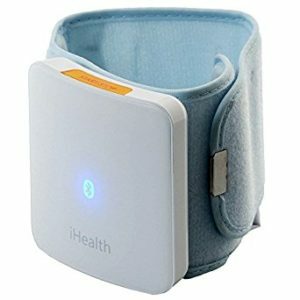 Clinically-tested and FDA-approved (see website for more details), the iHealth View Wireless Wrist Blood Pressure Monitor gives you reliable readings at home or on the go. The design and cutting-edge technology let you view results, monitor trends, and share your data with your doctor or caregiver right from your touchscreen. The free iHealth MyVitals mobile app (available on the App Store and Google Play) keeps track of every reading you take. Your measurements are stored and charted with past readings to give you a clear overview of your blood pressure trends at a glance. The app also detects irregular heartbeats and stores unlimited users and readings. Share your data in one-touch from your smartphone with your health care provider or family member in Excel, CSV or PDF format. Our blood pressure monitors are FDA, BHS and dabl approved. Your information is stored in the secure, HIPAA compliant iHealth Cloud.